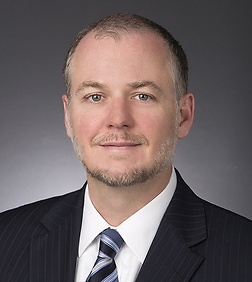 Michael W. Paddock is a partner in the Corporate Practice Group in the firm's Washington D.C. office. Mr. Paddock's practice primarily involves healthcare fraud and abuse matters, particularly those relating to civil False Claims Act, physician self-referral (Stark Law), and anti-kickback issues. He often advises clients on compliance and transactional matters, the conduct of internal investigations related to potential fraud and abuse issues, and responding to and defending against government anti-fraud and abuse enforcement efforts and regulatory inquiries, including qui tam and government allegations of False Claims Act violations. He is an active member of the American Health Lawyers Association, serving for many years as a member of the Fraud and Compliance Forum Planning Committee, as a former Vice-Chair of the Fraud and Abuse Practice Group's Steering Committee, and as former Chair of that Practice Group's Enforcement Committee. Mr. Paddock was named by Nightingale's Healthcare News as one of the Outstanding Young Healthcare Lawyers of 2006 and by Super Lawyer as a Rising Star, HealthCare in 2013 and 2014. Mr. Paddock previously served as a member of Health Law 360‘s editorial advisory board and an Adjunct Professor of Law at The Catholic University of America, Columbus School of Law. “The Current Landscape Under Rule 9 (b) in Health Care Qui Tam False Claims Act Litigation,” (webinar) (June 19, 2014). “Stark Law Basic Training,” AHLA Fraud & Compliance Forum (September 29, 2013). “OIG's Updated Provider Self-Disclosure Protocol--What Does Revamp Mean to You?” (webinar) (May 22, 2013). “Understanding the Advice of Counsel ‘Defense’ in an Era of Increased Healthcare Fraud Enforcement,” AHLA Fraud & Compliance Forum (October 1, 2012). AHLA Annual Conference, Counseling Clients in an Environment of Increased Enforcement (live event) (June 27, 2011). "AHLA Medicare ACOs: Details From the Fraud and Abuse Perspective," (webinar) (May 24, 2011). Recent Release of the Proposed Accountable Care Organization Regulations and Related CMS, OIG, FTC, DOJ and IRS Content: Piecing the Puzzle Together," (webinar) (April 21, 2011). "AHLA Seven Months Later: Experiences and Practical Advice in Dealing with CMS' SRDP," (roundtable discussion) (April 11, 2011). "Executives and Counsel in the Crosshairs: What Recent Government Efforts to Prosecute Individuals Mean For Your Organization (And You! )," (webinar) (April 7, 2011). "Executives and Counsel in the Crosshairs: What Recent Government Efforts to Prosecute Individuals Mean for Your Organization (and You! ),” (webinar) (April 7, 2011). "Healthcare Fraud & Abuse In A Tougher Enforcement Environment: Lessons Learned From Recent DOJ/HHS Fraud Investigations, Prosecutions and Settlements," Strafford Publications Teleconference (April 8, 2010). "Stark Law Overpayments and False Claims Act Implications," American Health Lawyers Association, Institute for Medicare & Medicaid Payment Issues (March 25 & 26, 2010). "Fraud In Healthcare Under Heightened Scrutiny: Effective Compliance Strategies in the Face of New DOJ / HHS Fraud Initiatives," Strafford Legal Teleconference (July 14, 2009). “CMS' Stark Law Audits Are Coming: The “Disclosure of Financial Relationships Report” and Its Requirements and Considerations.” National Constitution Center teleconference (April 2, 2009). “CMS' Stark Law Audits Are Here: Preparing to Respond to the Government's 'Disclosure of Financial Relationships Report,'’ AHLA Institute on Medicare and Medicaid Payment Issues (March 26 and 27, 2009). "The Stark Morass In Academic Medicine,” AHLA Operationalizing Stark: From Complexity to Reality (March 24, 2009). “CMS' Stark Law Audits Are Coming: The “Disclosure of Financial Relationships Report” and Its Requirements and Considerations,” AHLA Hospitals and Health Systems Law Institute (February 10-11, 2009). “Highlights Of H.R. 4854 'The False Claims Act Correction Act of 2007' and DOJ's Views,” The Future of the False Claims Act: Recent Judicial and Legislative Highlights (live event) (October 2008). “New Stark Rules Effective October, 2008: Are You In Compliance? ", National Constitution Center teleconference (September 11, 2008). “A Stark Reality: New Rules We Need To Know, Part I," AHLA Teleconference (August 14, 2008). “Overpayments: If, When and How to Self-Disclose,” Part B News Teleconference (July 9, 2008). “With No Contract, What Is A Fair Rate? The Non-Participating Provider Reimbursement Conundrum,” Blue Cross and Blue Shield Association 42nd Annual Lawyers' Conference (May 9, 2008). “Managed Care Litigation Developments: Legal and Practical Considerations for Health Plan Counsel,” UHG Attorney and Regulatory Affairs Senior Leadership Retreat (March 14, 2008). "The Use of Information and Incentives in the Pursuit of Better Healthcare," 2008 AHIP Law Forum (March 2008). “What’s a Doc to Do? Stark Phase III& Anti-Markup Rules: The Impact on Physician Relationships and Ventures," Beyond Anti-Markup: "Stand In The Shoes” and Other Practical Implications - The ABA Health Law Section and the ABA Center for Continuing Legal Education (February 6, 2008). "U.S. v. Sulzbach: Government Theories, Potential Defenses, and Lessons Learned," (live event) (October 2007). "U.S. v. Sulzbach: What Every Compliance Officer Needs to Know," AdvaMed Device and Diagnostics Compliance Group Meeting (October 4, 2007). "U.S. v. Sulzbach: Government Theories, Potential Defenses, and Lessons Learned," (webinar) (September 26, 2007). "Managed Care Litigation Developments: Legal and Practical Considerations for Health Plans and Providers," AHLA Teleconference (July 24, 2007). "Safe Harbors and Exceptions for E-Prescribing and Electronic Health Records: What Now?," Blue Cross and Blue Shield Association 41st Annual Lawyers' Conference (May 3, 2007). "Managed Care Litigation Developments: Legal and Practical Considerations for Health Plans and Providers," AHLA Teleconference co-sponsored by the HMOs and Health Plans and In-House Counsel Practice Groups (March 20, 2007). "Giving IT Away: Promoting the Use of Electronic Health Record and E­ Prescribing Technology," (live event) (October 27, 2006). "New Trends In Managed Care Litigation - Class Actions, Non-Par Provider Payment Issues, and More," (live event) (October 26, 2006). "The Fraud & Abuse Issues That Keep Our Physician-Clients Up at Night... and What They Are Doing About It," BRK Health Care Conference (June 2006). "Whistling While You Work: Dangers of a Qui Tam Lawsuit and How to Avoid Them," (live event) (October 27, 2005).